If you enjoy tranquil lakes and scenic mountain views you might want to consider putting your roots down in Bellingham, Washington. It offers its residents a wide-variety of living within its city limits, such as: being in close proximity to town, wooded estates, and waterfront options. Nestled between Lake Whatcom and Bellingham Bay, you can venture from downtown and in minutes be in rural farmland, the North Cascades or out on the salt waters around the San Juan Islands. Bellingham is situated about 80 miles North of Seattle and 55 miles South of Vancouver, BC. The City of Bellingham was formed in 1903 when the cities of New Whatcom and Fairhaven consolidated from what were once four separate settlements (Fairhaven, Whatcom, Sehome, and Bellingham). The local economy got its start in resource extraction, notably coal and timber. The Georgia-Pacific mill on the waterfront, whose site is now being redeveloped into a dynamic mixed-use neighborhood, sustained the local economy for many years. Recently employment has diversified from heavy industry to education, services, tourism, and retail. Quick Trivia: "There are about 407 restaurants, bars and coffee shops in Bellingham. People in Bellingham can walk to an average of 2 restaurants, bars and coffee shops in 5 minutes." With a population of approximately 82,080 people, there is an immediate feeling of welcome and being at home in one of “the best places to live” according to National Magazine. This quaint city offers neighborhoods for all kinds of families, however, it has an average population age of 31 which allows it to resonate with a strong and youthful vibrancy. The locals are their own blend of unique and diverse transplants who help keep the city’s great reputation for being a fun and outdoorsy town. In addition to tree-lined streets and upscale urban estates, Bellingham has something for every lifestyle. Just north of Whatcom Creek (which flows the width of Bellingham); Cornwall Park, Sunnyland, Lettered Streets and Columbia are considered among the best areas to live. However, by traveling a little further away from the center of town: Mount Baker, Samish Hill, Birchwood and Guide Meridian are affectionately known as the largest neighborhoods and also offer great amenities. Environmentally friendly practices such as recycling are part of the culture in this beautiful city. Bellingham is known for being a town that cares about its environment. It is an eco-friendly community that appreciates local restaurants supported by local farmers. You can get around on foot within the Fairhaven district, downtown, and the University, but transportation between these areas is best by bicycle, car or bus. Parking is 75¢ per hour downtown, and notably more expensive at the University. On-street parking is available at most hours, except in resident parking areas, and there are some free lots. Downtown Bellingham, though small, is something of a maze, with many odd angles and one-way streets. It may be helpful to have a detailed map handy when navigating this area. Because traffic is relatively light and parking is relatively easy, most locals get around by car. Many students, some ecologically-minded souls, and other people walk, ride a bicycle, or use the local buses operated by WTA. There is a network of bike and pedestrian paths, with a map available online. Riding a bicycle on a sidewalk in a business district is prohibited. A local taxi company called Designated Taxi caters to Bellingham's lifestyle by providing bike racks on all of their hybrid, smoke-free, cabs. *Walk Score is calculated by analyzing hundreds of walking routes to nearby amenities. Points are awarded based on the distance to amenities in each category. **Transit Score measures how well a location is served by public transit based on the distance and type of nearby transit lines. ***Bike Score measures whether an area is good for biking based on bike lanes and trails, hills, road connectivity, and destinations. The Bellingham Cruise Terminal and Fairhaven Station are the multimodal transportation hubs that have become the popular transportation hub for travelers which offers a variety of transportation modes. 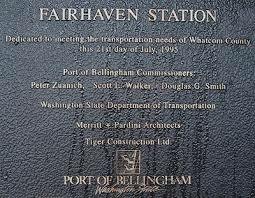 All Fairhaven transportation services are located inside a historic brick building the Port renovated in 1994. The station also includes payphones, taxi services, a coffee shop, and offices. The Fairhaven Station includes the popular Amtrak train service, connecting Bellingham to Seattle and Vancouver, British Columbia. It makes stops in Bellingham, Mount Vernon, and Everett. Station office hours are daily from 7:00 a.m. to 9:00 p.m. Contact Amtrak for details at 360-734-8851 or 800-USA-RAIL for more information. Access to Bellingham is primarily from the seven exits off Interstate 5, although travelers using the Lynden/Aldergrove border crossing will arrive via State Route 539, a.k.a Guide Meridian. Fairhaven is served by Exit 250, and downtown is served by Exit 253 Lakeway Drive. A scenic alternative when coming from the south is Chuckanut Drive (State Route 11), a winding road that follows the side of Chuckanut Mountain along the water overlooking the San Juan Islands. Turn off I-5 at Exit 231 and expect to take an extra twenty minutes to reach downtown. This route is also popular with cyclists (warning: narrow shoulders) and has been used frequently for national car commercials. Another rural alternative in the eastern part of the county is State Route 9, which parallels Interstate 5 and can be accessed south of Whatcom County via Skagit County. This route carves through a valley east of Stewart Mountain and the Mt. Baker foothills. 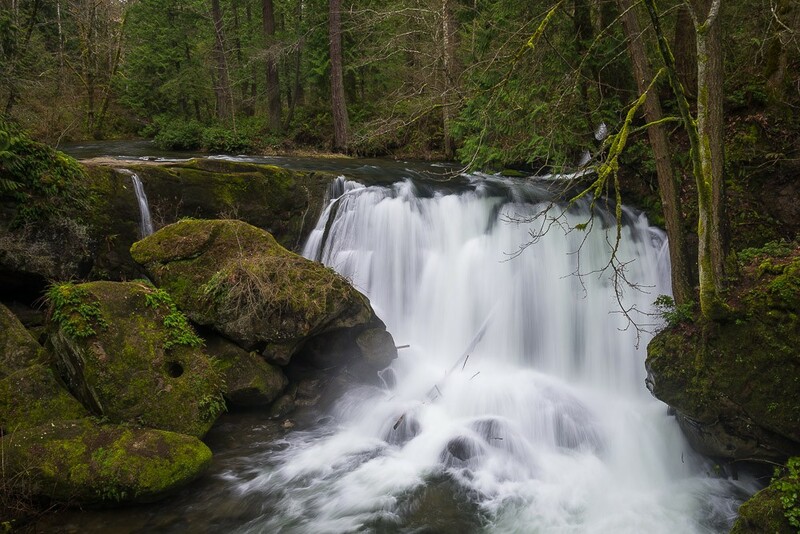 On a two-lane highway, you pass through small towns and by various farms, follow the south fork of the Nooksack River, and end up at the border community of Sumas on the U.S. and Canadian border. Be sure to stop in at Everybody's Store in Van Zandt for unique provisions and treats. To connect back to Bellingham, visitors should go west on Highway 542 when it intersects with Highway 9. Greyhound buses arrive at the Fairhaven Transportation Center at the south end of town. Quick Shuttle buses provide services from Vancouver and Seattle to the Bellingham Airport. From the Bellingham airport call the WTA in advance to book Bus #50 to take you into town or take a taxi from the airport. Whatcom Transportation Authority (WTA) buses provide service to the Bellingham bus station, which in turn provides service to most of the city as well as a number of towns in Whatcom County. Some buses travel as far north as Blaine (near the Canadian border) and as far south as Mount Vernon (in Skagit County). 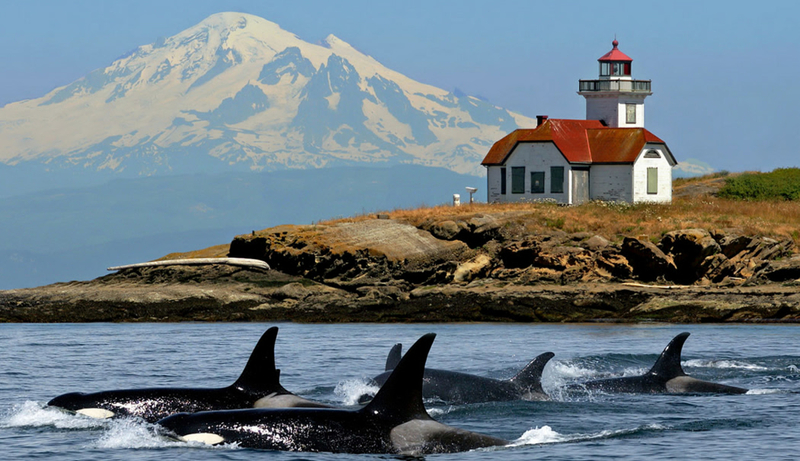 Airporter Shuttle/Bellair Charters provides scheduled coach transportation from NW Washington to and from Sea/Tac Airport with connections to the Anacortes Ferry, Bellingham Airport, Mt. Vernon, Marysville and other points. Charter service available. Alaska State Ferry offers weekly sailings between Fairhaven and Alaska for passengers and vehicles. Bellingham Public School District has approximately 11,000 students and 1,300 staff members. It has recently been named 16th Best Place for Teachers to Work in the United States. Exquisitely tucked in the hills overlooking Downtown Bellingham is one of the best small colleges in the country: Western Washington University. 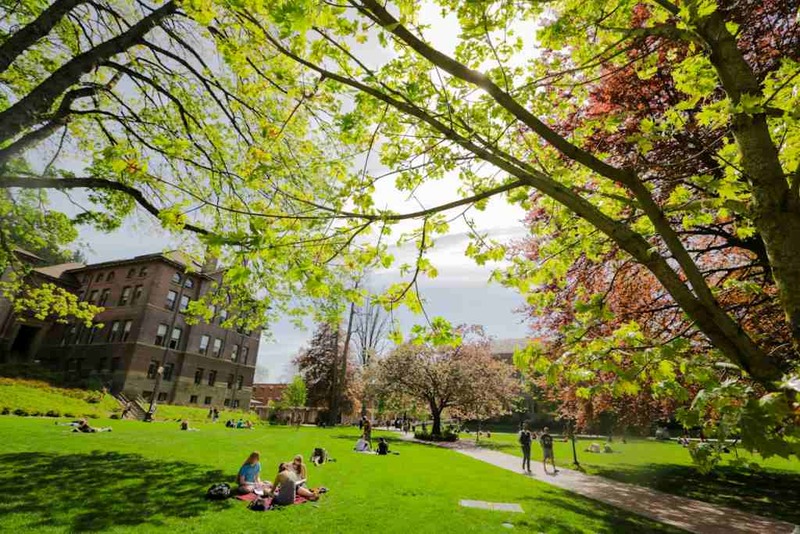 Its high graduation rates and beautiful campus adds to the character of Bellingham. In partnership with the university, Bellingham also has The Northwest Film School. It is a private, non-profit educational institution specializing in digital media production that offers a one-year certificate in Video Production. Bellingham is also known as the “City of Subdued Excitement.” Well maintained by its community, it has a vast array of entertainment including: Bellingham’s Farmer’s Market, breath-taking landscape views, astonishing waterfalls, local shops, dining, independent breweries, sightseeing excursions, hiking, boating, whale watching, and much more. 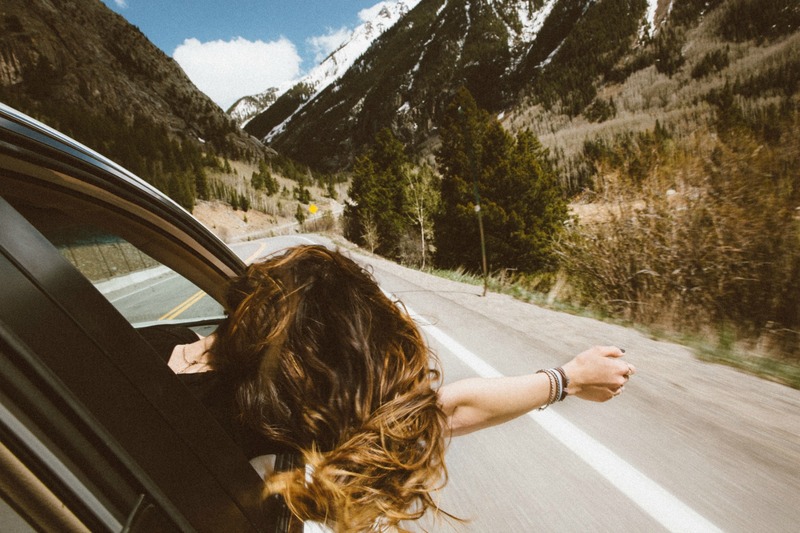 This geographical sweet spot for day trips allows for easy travel to Seattle and even Vancouver, Canada within a day or two. Not only that but San Juan and its neighboring islands are a short ferry ride away. It is also a wonderful place to tour unique museums like the “Spark” home of the Mega-Zapper tesla coil and “The Whatcom Museum.” Originally built as the city hall in 1892, The Whatcom Museum is currently an entire complex of three distinct buildings dedicated to the art and culture of the Pacific Northwest. Down on Bay Street is the American Museum of Radio and Electricity which links the scientific exploration of the phenomenon called “electricity” with the development of radio into its Golden Age. Compelling, interactive exhibits spanning three centuries feature a world-class collection of unique electrical objects and radios. 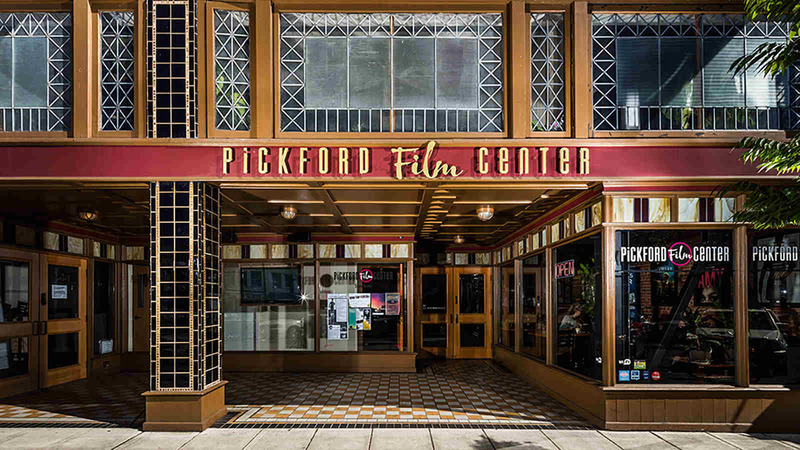 Next door, Pickford Film Center is dedicated to showing the best in independent, foreign and documentary film 365 days a year. Nearby on Commercial Street is the Bellingham Railway Museum. This facility traces the history of the railway in Bellingham through a variety of hands-on exhibits and simulators. The Museum's Lionel and tinplate exhibit features a collection of pre- and post-war Lionel, Marx and Ives toy trains and the accessories that went with them. Downtown thrives with a variety of locally owned businesses, fine dining and nightlife options. It is also the cultural core of the city, with an eclectic mix of museums and performance venues all within blocks of each other. Locals rave over a specific part of the city known as Historic Fairhaven. Noted for its colorful, 19th-century history, its educational history has a direct impact on Bellingham’s charm. Some say you could spend all day exploring its intimate events, pubs, diners, art galleries, shops, and attractions. The district has blossomed into a major destination and residential community. Think this area is perfect for you and your family? Well, we've added a little more. One of the most common requests we hear from clients is that they are looking for homes for sale in Bellingham. We know how hard it can be to check out properties that are actually in the specific area and within the price ranges that you wanted to look into. So we took out the flitting between web pages and listed it all out for you! Below is the most current listing of properties available in Bellingham! Enjoy!